As soon as I saw these, I loved them. I've had these since the summer but completely forgot about them. My friend Millie wore Salt N Pepper to uni the other day, and it reminded me that I had these! The moment I got home I hunted around for these beauties, and I've never been happier. You can get most W7 products and nail polishes in most discounted beauty places, such as Poundland and Just Essentials. I got mine from The Factory Shop. Mosaic is my favourite. I love this colour and loved wearing it. The day I got it I looked on the Nails Inc website and found the EXACT polish from their Sprinkles collection, did W7 copy Nails Inc?! You can find Nail Inc Pudding Lane here for comparison. I love this polish. It surprising wears well too. 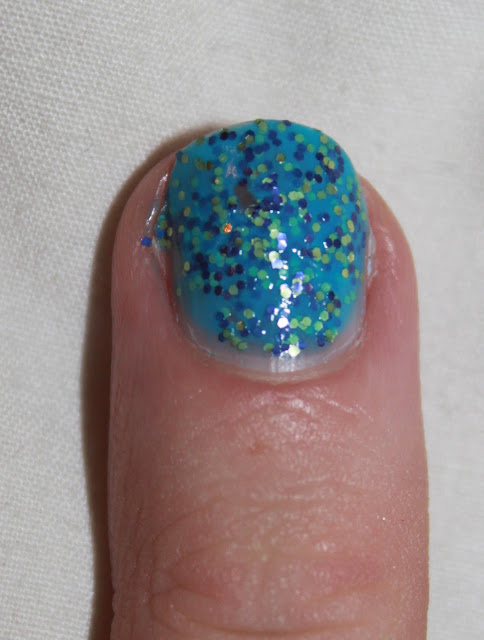 I love the matte navy sparkles in contrast with the glittery gold sparkles and the gorgeous sky blue polish. Everything contrasts but still works so well. This is definitely a statement polish. This dries so quickly too, and after 2 coats you're done. I have no criticisms of this gorgeous polish! Salt N Pepper is just simply gorgeous. Such a minimalist look with a trendy twist. 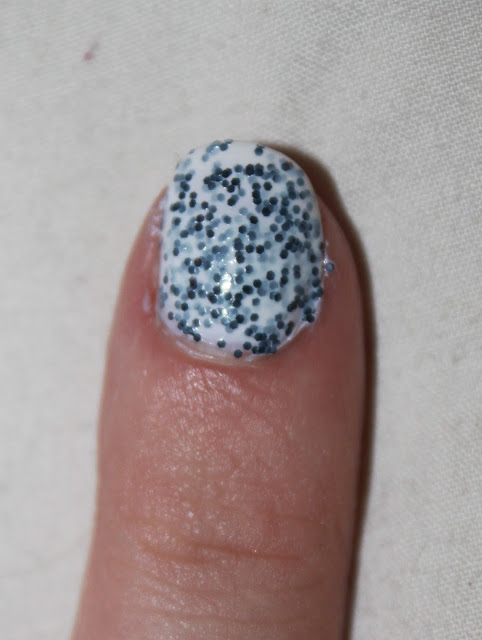 The gorgeous white is in between matte and glossy, so it works so well with the black matte glitter. This is the shade Millie was wearing, and I spotted it straight away. Again, this is such a statement nail varnish. If you want something simple yet loud, this is the shade to get. I haven't seen any polishes like this, so if you ever see it and love it - get it. W7 products are one of the cheaper make up brands out there, and I believe these polishes were £2-£3 a pop from Just Essentials, so get down to your nearest one to sample these goodies. Hope you enjoyed reading! Have you used these nail polishes or the Nails Inc before? I love w7 nail varnishes, their glitter ones are so good and so cheap!